Back when I lived in Holland, I was shopping one day in H&M in Leiden (where I lived for 5 months - the rest of the time I was in Rotterdam) and there was an amazing shirt dress on sale! I was low on cash so I opted not to buy it but would next time. Some time later, I returned to buy it and the colour and size I wanted was no longer available. Granted to say, I've been somewhat looking for a shirt dress ever since. 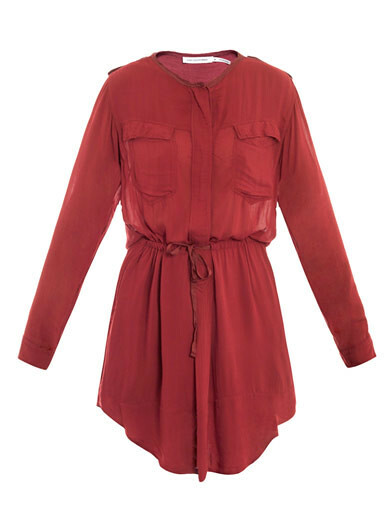 So cue, Lancy Shirt Dress by Isabel Marant Etoile on sale (with free shipping! ), designer and perfect. I can't wait until it arrives!